When King Nebuchadnezzar besieged the city of Jerusalem, thousands of Jews were taken away captive to Babylon. 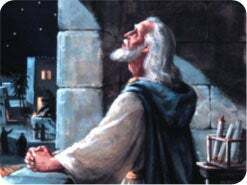 The king instructed his servant, Ashpenaz, to select gifted young men from among the Jewish captives who would come to the palace for three years to learn the language and wisdom of Babylon so they could serve the king. Daniel, Hananiah, Mishael, and Azariah caught the attention of Ashpenaz and were taken to the king's palace. But there was a problem. The menu of rich meat and wine appointed for the young men contained many items forbidden by God's Word. Without wanting to appear ungrateful, Daniel asked if he and his three friends could be given a vegetarian diet to eat and water to drink. At first the king's servant resisted their request. "You can't stay healthy by eating like that!" he exclaimed. "You'd get sick, and then the king would have my head." But Daniel gently persisted, suggesting a trial period of 10 days, after which their visible health could be compared with the young men who ate from the royal cafeteria. 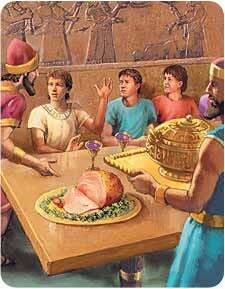 This plan was agreed upon, and for 10 days the four young Hebrews drank water and ate a simple vegetarian diet. 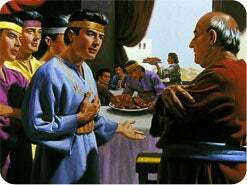 At the end of the trial period, Daniel and his three friends "appeared fairer and fatter in flesh than all the children which did eat the portion of the king's meat." Daniel 1:15. Three years later, these four young men were tested by King Nebuchadnezzar, and it was declared they were 10 times brighter then all the wise men in Babylon. The Bible tells us that Daniel lived to be approximately 100 years old. What helped give Daniel and his friends such profound wisdom, health, and long life? 1. What was the original diet that God designed for humans? Genesis 1:29. And God said, Behold, I have given you every herb bearing seed, ... and every tree, in the which is the _____ of a tree yielding seed; to you it shall be for meat. The word "meat" here simply means "food." 2. 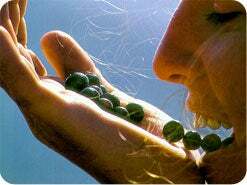 After Adam and Eve sinned, what supplemental food did God add to their diet? Genesis 3:18. Thou shalt eat the ______ of the field. 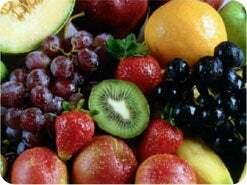 The original diet for the human race was a vegetarian diet of fruits, grains, and nuts. God added vegetables to Adam and Eve's diet after they sinned and could no longer eat from the tree of life. 3. Is God concerned with our physical health? Matthew 4:23. And Jesus went about all Galilee, teaching in their synagogues, and preaching the gospel of the kingdom, and ______ all manner of sickness and all manner of disease among the people. 3 John 2 Beloved, I wish above all things that thou mayest prosper and be in health, even as thy soul prospereth. The Bible teaches that our physical health is extremely important to God. Jesus spent as much time healing as He did teaching. There are several Bible principles we can follow to improve our health and lengthen our lives. 4. 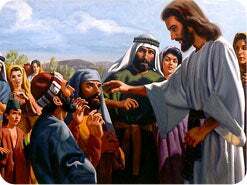 God promised the children of Israel that if they would serve and obey Him, He would remove all sickness from them. Did He keep His promise? Psalms 105:37. He brought them forth ... and there was not one ______ person among their tribes. Just imagine! When God's people came into the promised land, there was not one sick or feeble person in the whole nation. 5. Why is our health so important to God? 1 Corinthians 6:19, 20. Your body is the ______ of the Holy Ghost. ... Therefore glorify God in your body. Romans 12:1 Present your bodies a living sacrifice, holy, acceptable unto God, which is your reasonable service. God wants our bodies to be His holy dwelling place. Therefore we must choose to make them a wholesome place for His residence. 6. What is a good Bible rule for healthful living? 1 Corinthians 10:31. Whether therefore ye eat, or _____, or whatsoever ye do, do all to the glory of God. We should strive to live so that all of our habits--even our eating and drinking--will glorify God. 7. 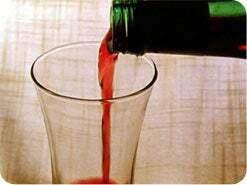 Should Christians use alcoholic beverages? Proverbs 20:1. Wine is a _______, strong drink is raging: and whosoever is deceived thereby is not wise. Alcoholic beverages are clearly forbidden by Scripture. The word "wine" in the Bible can mean either fermented or unfermented grape juice. The same is true of the word "cider" today. Proverbs 23:29-32 gives the Bible description of fermented wine, and God says that we should not even look at it! The only wine Christians should use is "new wine," which is unfermented, sweet grape juice. Isaiah 65:8 New wine is found in the cluster. 8. What will God do to those who defile their bodies? 1 Corinthians 3:16, 17. Ye are the temple of God. ... 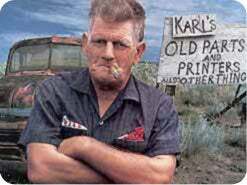 If any man defile the temple of God, him shall God _______. Exodus 20:13 Thou shalt not kill. Any substance or unhealthful practice that damages the body or shortens one's life must be laid aside. Suicide by degrees is still suicide. This, of course, includes harmful drugs (such as tobacco in all of its forms) and the many drinks that contain a popular yet highly detrimental drug called caffeine. God says that He will destroy people who knowingly wreak havoc upon their body temples. 9. What mammals does God permit humans to eat? Leviticus 11:3. Whatsoever parteth the _____, and is clovenfooted, and cheweth the cud. To make things simple for us, God has placed all living creatures into one of two categories: clean and unclean. He permits us to eat those that are clean but has declared the unclean creatures to be unfit for food. All mammals that are clean have two characteristics. They must: (1) have cloven hooves, and (2) chew the cud. For example, a pig has cloven hooves but does not chew its cud, so it is unclean. 10. 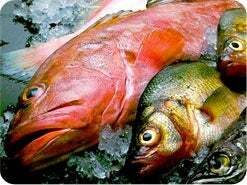 What types of fish and seafood are clean? Leviticus 11:9. These shall ye eat of all that are in the waters: whatsoever hath ______ and scales ... them shall ye eat. Most fish are clean for food. However, eels, sharks, and catfish are among the exceptions. All creatures in the water that do not have both fins and scales are unclean and should not be eaten. Examples include shellfish, turtles, frogs, shrimp, oysters, etc. 11. 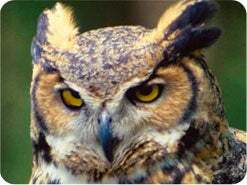 Which birds are unclean? Leviticus 11:15, 16. Every raven after his kind; And the ____, and the night hawk, and the cuckow, and the hawk after his kind. The list in Leviticus 11 indicates that birds of prey, carrion, and fish eaters are unclean. However, all the foraging birds such as quail, chickens, and turkeys are clean. 12. Are the laws about clean and unclean animals part of Moses' ceremonial law, which ended at the cross? Genesis 7:1, 2. Come thou and all thy house into the ark. ... Of every ________ beast thou shalt take to thee by sevens, ... and of beasts that are not __________ by two. No, God's categories of clean and unclean beasts have existed since Creation. 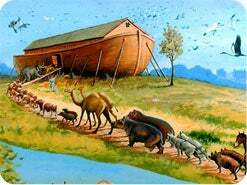 Noah was told to take clean beasts into the ark by sevens and unclean by twos. This was long before Moses' law. 13. Does God say that eating unclean food is a serious offense? Isaiah 66:15, 17. For, behold, the Lord will come with fire, and with his chariots like a whirlwind, to render his anger with fury. ... They that sanctify themselves, and purify themselves ... eating swine's flesh, and the abomination, and the mouse, shall be __________ together, saith the Lord. Yes! The Bible is too plain and clear to misunderstand. At His second coming, the Lord will destroy those who know what His Word requires, yet eat swine's flesh (pork) and other unclean foods. 14. What is a good basic health rule for Christians? 1 Corinthians 9:25. Every man that striveth for the mastery is __________ in all things. Temperance means completely avoiding things that are harmful and using moderation in the things that are good. 15. Are the Bible health principles still practical today? A. Quarantine procedures control contagious disease (Leviticus 13:46). B. Human-body waste should be buried (Deuteronomy 23:12, 13). C. Washing the body and clothing controls germs (Leviticus 17:15, 16). D. Moral living prevents sexual diseases (Leviticus 18; Proverbs 5:1-12; Colossians 3:5, 6). 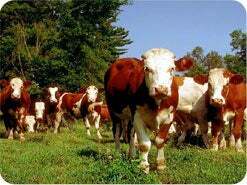 E. Animal fat should not be eaten (Leviticus 3:17; 7:22-24). F. Hatred and bitterness is detrimental to one's health (Leviticus 19:17, 18; Proverbs 15:17; Hebrews 12:14, 15). 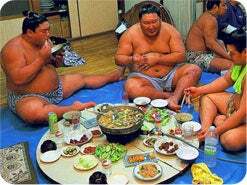 G. Overeating is harmful (Proverbs 23:2). H. Our bodies need proper rest (Psalm 127:2; Mark 6:31). I. 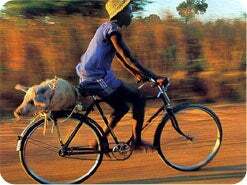 Importance of work (Exodus 20:9, 10; 2 Thessalonians 3:10). J. A positive attitude is good medicine (Proverbs 17:22; 1 Timothy 6:6). K. Parents' habits affect children (Deuteronomy 12:25; Exodus 20:5). The health laws God gave to His people thousands of years ago were scientifically far ahead of their time. Only in recent years have we recognized how truly great are the benefits they offer! 16. Will people in heaven kill and eat animals? Isaiah 65:25. They shall not hurt nor ______ in all my holy mountain, saith the Lord. Revelation 21:4 There shall be no more death. All that Adam and Eve lost when sin entered will be restored in God's new kingdom, including the original vegetarian diet. There will be no slaughtering or devouring of animals in the new earth. 17. How can I make diet and health changes that will please the Lord? Ezekiel 11:18-20. They shall take away all the detestable things thereof. ... And I will give them one heart, and I will put a ____ spirit within you; ... That they may walk in my statutes, and keep mine ordinances, and do them. When we decide to obey God's health laws, He puts a new spirit within us that will give us the power needed to live healthfully (John 1:12). 18. God honored Daniel and his friends for keeping His health laws, which are a very important part of Christian living. Are you willing to follow the health principles in God's Word and to present your body a holy temple where His Spirit may reside? Many have tried to use Peter's vision of the great sheet (Acts 10:9-28) to justify eating unclean animals. 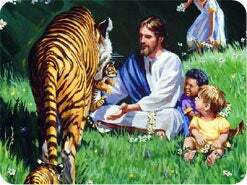 They say it proves that Jesus taught His disciples it was acceptable to eat any living creature. However, each time the sheet came down and Peter was asked to kill and eat the unclean animals, he responded, "Not so, Lord for I have never eaten any thing that is common or unclean." Acts 10:14. Notice that even after three and a half years of listening to Jesus' teaching, Peter had not received the slightest hint or impression that eating unclean food was permissible. 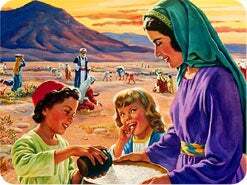 It is also interesting to note that in his vision, Peter never took anything to eat from the sheet. Peter's vision of the sheet was never intended to sanctify the eating of unclean animals. Peter himself explains the meaning of the vision in verse 28: "God hath showed me that I should not call any man common or unclean." Again in verse 34, Peter summarized the point of the vision when he said, "Of a truth I perceive that God is no respecter of persons." God's message to Peter had to do with cleansing people, not animals. This vision was given to impress the Jewish disciples that they should not call the Gentiles unclean, and that the gospel was to be freely proclaimed to all peoples of the world. The warning in 1 Timothy 4:1-5 against a latter-day apostasy involves a number of heresies - following devils, forbidding to marry, and commanding to abstain from certain foods. Perhaps the greatest misunderstanding has arisen over verse 4, where it is stated that "every creature of God is good." This verse means that every created thing has been made for a purpose. But some suppose it means that every animal is fit to be eaten if it is earnestly prayed over and blessed by the prayer of thanksgiving. This would mean that praying over a buzzard, cockroach, mole, or bat would make it good for food. Such an interpretation would be absurd and dangerous. "Be not deceived God is not mocked: for whatsoever a man soweth, that shall he also reap." Galatians 6:7. To prevent us from drawing any wrong conclusions, Paul hastened to add: "For it is sanctified by the word of God and prayer." Verse 5. So the Word of God must first approve it, and then the prayer of thanksgiving will sanctify it to be eaten. It is helpful to note that the word "meats" in the original language is not limited to flesh foods. The Greek word "broma" simply means "food." We can know that Paul's discussion does not involve biblically unclean animals, because the meats that some had forbidden were foods "which God hath created to be received with thanksgiving of them which believe and know the truth." Verse 3. It is easy to find in the Scriptures a description of the food God created to be received with thanksgiving (Genesis 1:29 3:18 Leviticus 11:1-22). This passage was written to those who "believe and know the truth." God's Word is the truth. Only those who "believe and know" His Word will be led to those things that are "sanctified" and created to "be received with thanksgiving." Those who "sanctify themselves" while continuing to eat unclean meats will be destroyed at Christ's second coming (Isaiah 66:15-17). What is the original diet? 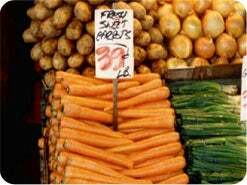 Do we need vegetables?